NO REMORSE Records Store opened in February 1998, by Chris Papadatos in order to cover a market segment, which had not been developed especially in Greece, for this rare LP's and CD's. 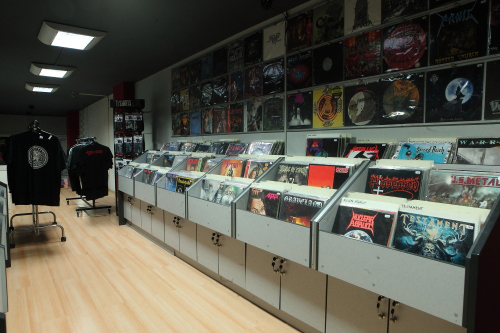 At a time when most record stores specializing in commercial bands NO REMORSE Records made the difference, which was highly appreciated by the public elevating the Greek top preferences. The successful discovery of rare discs and special editions, both from commercial bands and from the underground, helped to gain a respectable name not only in Greece but also in many European countries. The reliability of the store and willingness to provide the best possible from the world of metal music to date are the registered trademark of NO REMORSE Records. The future holds more surprises from us. Stay tuned and be fully informed about every move and release of the NO REMORSE Records.